As English teachers, we are all looking for vibrant discussion strategies that will empower our students to share what is in their hearts and minds. We are also aware that our students do more and more of their conversing via text and Snapchat. 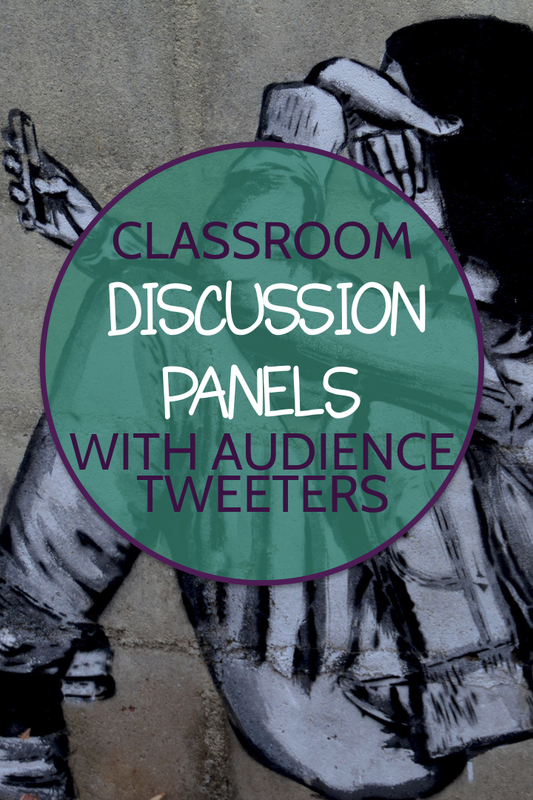 As I was reading an article a couple of months ago on my friend Jenna's site, Doc Cop Teaching, I was really impressed by her idea for having classroom panel discussions, in which several students sit on a panel to discuss key questions, while the rest of the class maintains a backchannel discussion as audience tweeters. 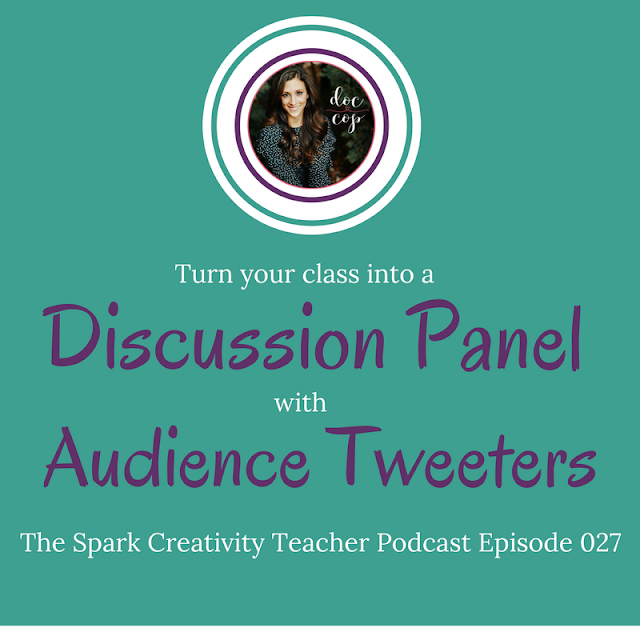 Doesn't it seem like an ideal combination of teaching the skills we want while recognizing the power of Twitter? Grab your earbuds, because Jenna is about to teach you EXACTLY how to do it. Get ready to harness the joys of Tweeting for good in your classroom. You can hear the full episode below, or scroll down to find a link to Jenna's full post on the subject and some of my key takeaways. Because we are discussing a subject that Jenna has already written extensively about on her own blog, I'm going to point you over to her wonderful blog post (and free resources) for getting started with this discussion strategy. #1 Talk with students in advance about what is expected of the audience Tweeters participating in the backchat on Today's Meet during the panel discussion. Reminding them that every comment will still be there at the end for everyone to see, and that respect and kindness are mandatory, is critical. 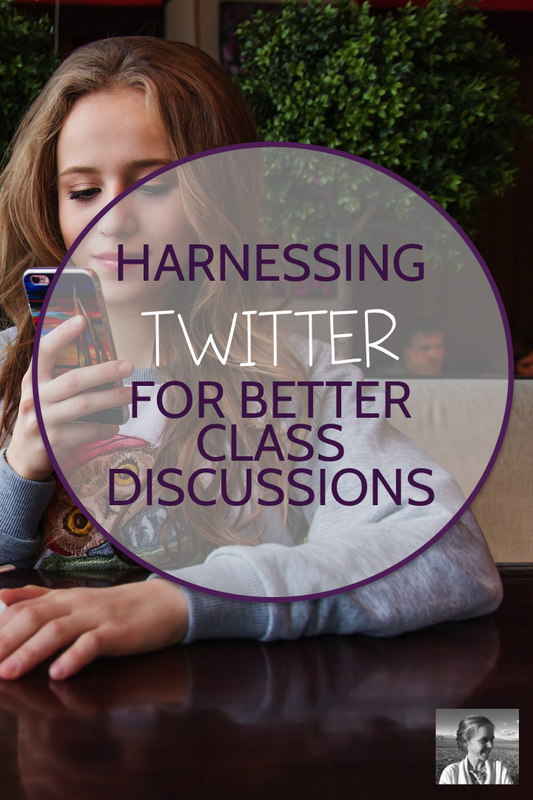 Use the prep for this activity as a chance to teach about having integrity in social media and online chat in general. #2 Don't worry if you are not 1:1 with tech devices at your school. Students can use phones, iPads, or computers to participate in the Today's Meet chat, and they can also easily share devices and take turns contributing to the conversation. Today's Meet is easy to set up, and once you get the hang of it, you may find you want to use it in many other ways in your classroom as well. #3 Jenna shares a great idea for getting feedback from students on this and any other teaching strategy that you roll out to students. She asks students to spend a few minutes giving their opinion in what she calls "focus groups," sure to command their interest far more than something like "feedback survey." Ready to learn more about Jenna Copper ("Doc Cop") and her work? Jenna Copper is many things to many people. She is a full time high school English teacher, teaching the senior English classes at her school and advising the senior class with her husband, a history teacher. She is also an adjunct college professor, in charge of the online English program for the university where she got her PHD. She is a literary theory pro, master grader, and all-around expert English teacher. Did I mention she has two adorable young daughters? Talk about a busy life! Learn more about her teaching strategies on her website, Doc Cop Teaching, or join the almost nine thousand other teachers enjoying her amazing Instagram profile.